These are a combination of the flowers I love to see blooming in my garden each year! I am always excited to have these fresh cuts in my home. The original of this painting is sold but I have several request for this painting in various sizes so this listing should make it easier to place your order. 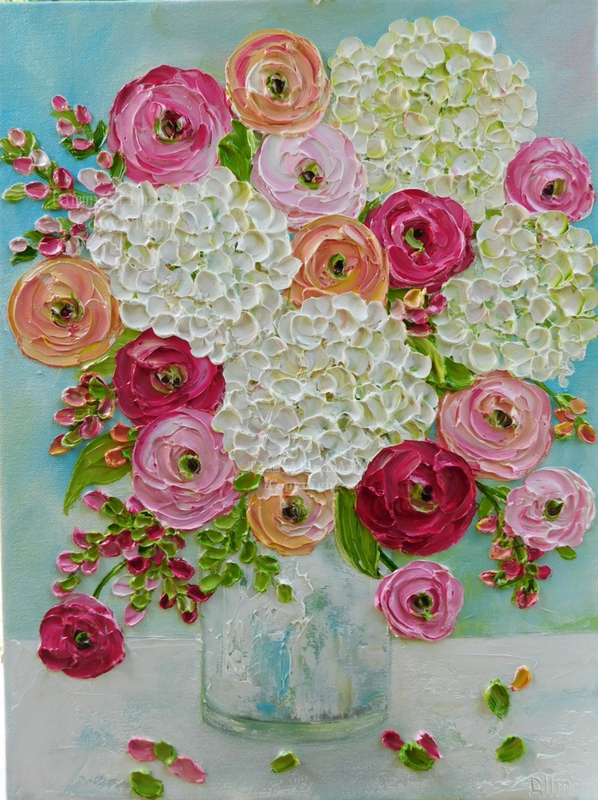 This is a custom oil impasto of mixed Ranunculus and white Hydrangeas in the size and canvas type of your choice. I have posted a photo of gallery edge canvas. If you are framing the painting please choose studio canvas from drop down menu. Choose size and price from drop down menu.